Tahnee offers high-level Clarity Coaching both in person and by phone or Skype to people all around the world, helping you to get crystal clear on your visions. 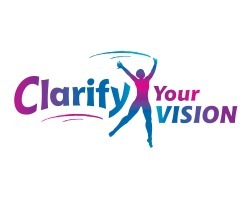 --> Clarify your vision for the world! You cannot create your vision until you are 100% clear about what it is. Tahnee will help you to access your deepest heart to clarify exactly what it is you care about. She will work with you to distill your passion into a precise clear vision that you can work towards. Tahnee has an incredible ability to see to the heart of people and discern exactly what their greatest gifts and skills are. very bright light on my core skills and what was unique and different about me. lightning-fast insight & intuitive abilities!" Tahnee combines her profound intuition, perceptiveness and psychic connection with her business acumen and marketing savvy to help you NAIL your NICHE in the world. She can wade through your jumble of ideas and thoughts and find the sparkle of gold in the middle. She will help you to re-envision and re-package your ideas into a clear simple vision that buzzes with PASSION, PURPOSE, and PRACTICALITY. You cannot move forward until your have a CLEAR VISION that comes from your deepest heart and highest self. Tahnee will help you to find this! "Tahnee achieved what I tried to with an expensive marketing firm over a year – in 4 one hour sessions! Incredible!" "My successful private practise of 7 years needed a revamp, and no longer reflected the services that I now provide to the public. I enlisted the help and expertise of Tahnee Woolf, as I knew I couldn’t do this on my own. Throughout our work together I was delighted in Tahnee Woolf’s incredible ability to swiftly and accurately understand my unique business; from where it was, to where it could go. Tahnee is like a laser beam, sharp, precise and totally on the mark, assisting me to clarity quickly during each session. Tahnee listened and offered suggestions and with her respectful yet firm approach, I stretched and grew, taking responsibility for myself, and opening myself up to the possibilities that Tahnee often offered me. Tahnee’s ideas, helped spark my own, collaboratively we got very clear on the purpose of my business. To my surprise we got to where I wanted to be within four sessions! "